Owner/mgr of Candicci’s Restaurant and Bar, Bob Candice, has been providing quality catering and banquet services to the St Louis area for more than 34 years. He has provided catering services for weddings, corporate events, anniversary parties, retirement parties, graduations and trade shows, Christmas parties, New Years Eve parties and much more. For just about every event imaginable Bob has provided top quality catering for. Bob guarantees timeliness, quality food & service and most of all for big events, staying on budget. Catering events is all about a seamless experience by being on-time, providing the quality of food that meets the expectations, providing quality service while remaining in the background and most importantly to stay on budget. Bob appreciates and understands the importance of each and every item. Currently, Bob can provide catering or banquet services that will accommodate up to 600 guests. With the holiday seasons approaching keep Bob and Candicci’s Restaurant and Bar in mind. Call Judy @ 636-220-8989 to discuss your next events plans and objectives. She will prepare an estimate/quote that will fit any budget and stay on budget. 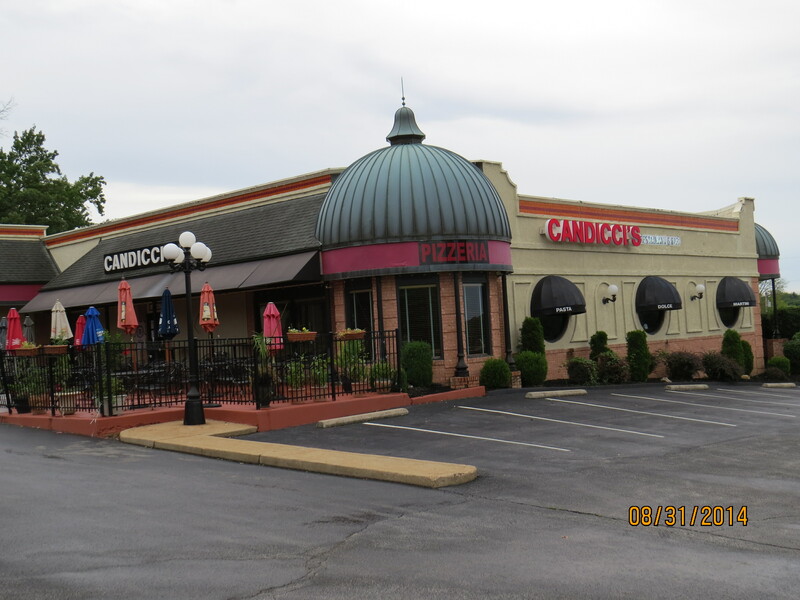 Candicci’s Restaurant and Bar is conveniently located at 100 Holloway Rd, Ballwin, MO, one block of Manchester Rd. They are open 7 days a week, provide a Happy Hour, Mon-Fri, 4-7 with great prices on drinks and bar appetizers and live entertainment. The menu is comprehensive offering fine Italian cuisines and American entrees that will satisfy almost everybody. Keep Candicci’s Restaurant and Bar in mind for your dining pleasure and St Louis catering needs. NEWS: We have a new menu that is currently being printed. Stay tuned for updates in the near future.